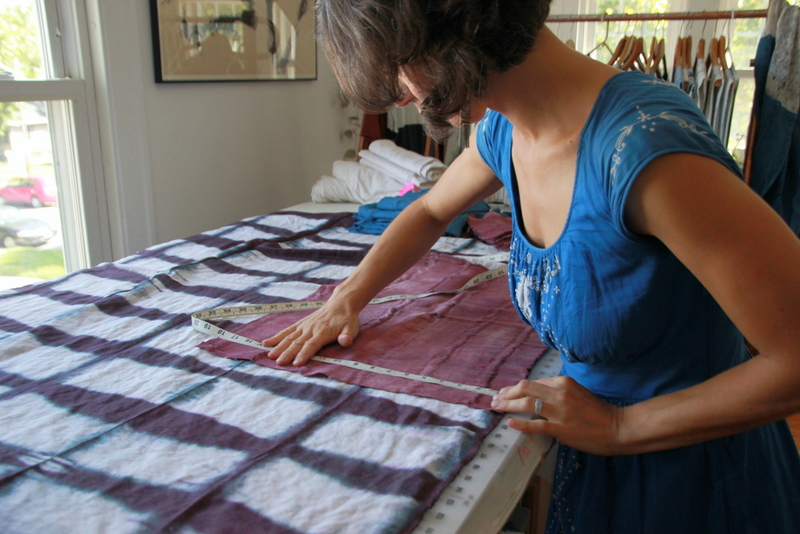 Knowingly or not, most of us have ties to the indigo plant through the history of the clothes we wear. Plants from the genus Indigofera first put the blue in the blue jeans that are part of America’s unofficial national costume (mostly made with synthetic dyes these days). But that blue-dyed serge cloth that traces its heritage back to Nîmes, France (serge de Nîmes … denim ... there’s your etymology fun for the day) is just one example of indigo’s global saturation, and a fairly recent one at that. 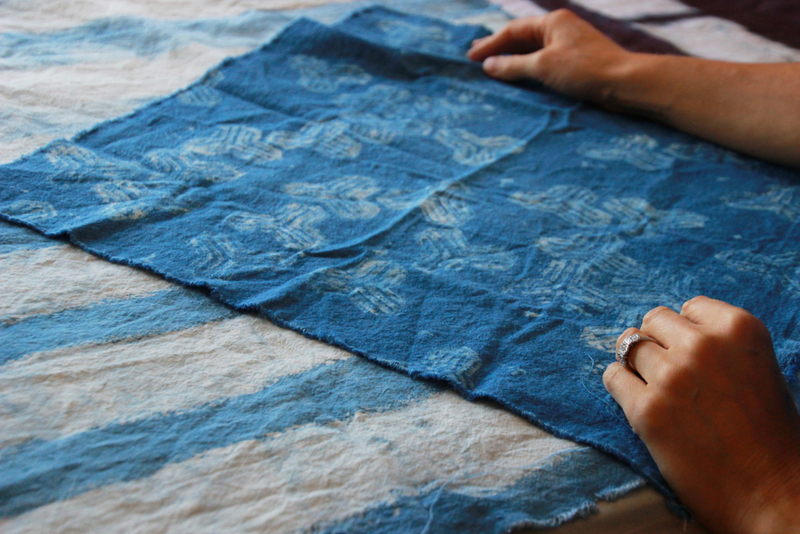 You could string together a round-the-world trip in pursuit of indigo dyeing traditions, from Guatemala and El Salvador in Central America, down to Peru, over to the Sahara and West Africa (Mali, Nigeria, Côte d’Ivoire, Burkina Faso), up to Europe — say, France and Hungary, among others — across to India and then further, into Thailand, Laos, Vietnam, China and Japan. The stunning thing about indigo is that people across the globe figured out how to coax this miraculous blue from a feathery green plant in a process that requires patience, precision and very scientific minds — without the benefit of actually talking to each other and sharing the secrets. Humans wanted that blue badly. The allure hasn’t faded, especially for Sardelis. 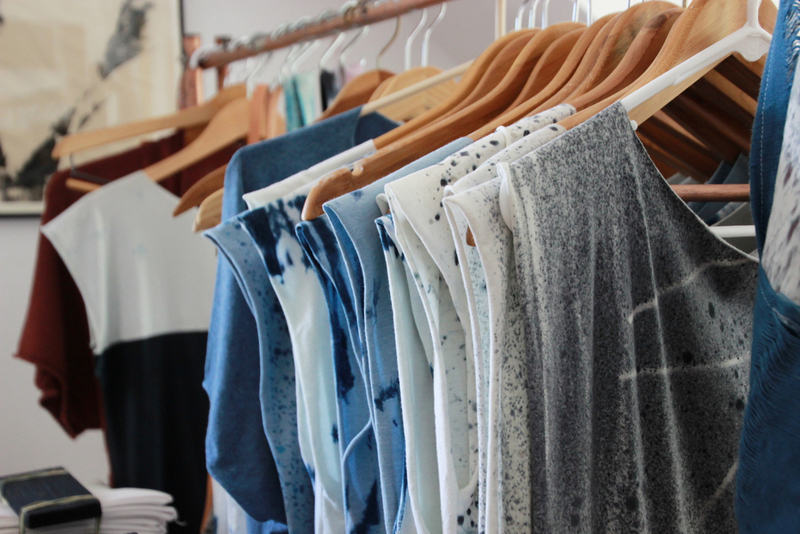 For her line, Indigo & Snow, she works with indigo and other dyes to produce accessories, clothing and home goods that blend her knowledge, experience and artistic passions. On a deeper level, it’s an extension of Sardelis’ personal history. Indigo & Snow is touched with a sense of organic earthiness but also with sartorial modernism — simple, minimal shapes allow the colors and patterns of the dye to become the central focus. The Ann Arbor, Michigan native majored in environmental studies in college and after graduating, she backpacked around Europe. Her takeaway from the experience wasn’t the stereotypical hazily remembered nights of partying, but instead, a greater appreciation for the craftsmanship that makes European fashion so special. Images of boutiques, with gorgeous clothes out front and a craftsman designer working at the back, were seared into her imagination. 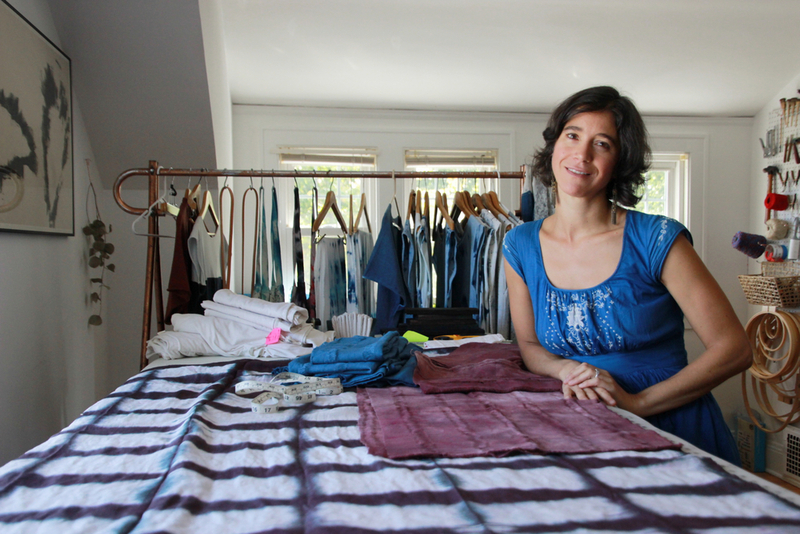 Not long after her European sojourn, Sardelis traveled extensively in Tanzania, where she began collecting textiles, and to other places, including Japan, Guatemala and Mexico, where she picked up local examples of indigo-dyed cloth. Much as she loved her developing collection, she didn’t think of fashion and textiles as a vocation for herself — it was just something she could appreciate. After nearly opening a local-organic-seasonal restaurant in rural Wisconsin (keep in mind that 15 years ago, this was a concept in its infancy) and then studying for but not taking the LSAT (her father told her the world needed her to be an artist, not a lawyer), Sardelis ended up working as an arts administrator at a Twin Cities nonprofit, pursuing her artistic impulses on the side. Sardelis’ work in arts administration eventually led her to the realization that she could make more out of her art than a hobby. And she says that simply being in Minneapolis made it all that much more attainable. And she’s found an audience of enthusiastic customers in the Twin Cities too, as illustrated by the traffic she sees as an exhibitor at the Mill City Farmers Market and as a workshop instructor at the Textile Center (she’s conducted classes in dyeing with indigo and itajime shibori, a form of Japanese resist dyeing, and will teach a snow dyeing class this winter). With Indigo & Snow in full swing, Sardelis has plans to expand and evolve the line in the next year with more exploration of natural dyes — including indigo. 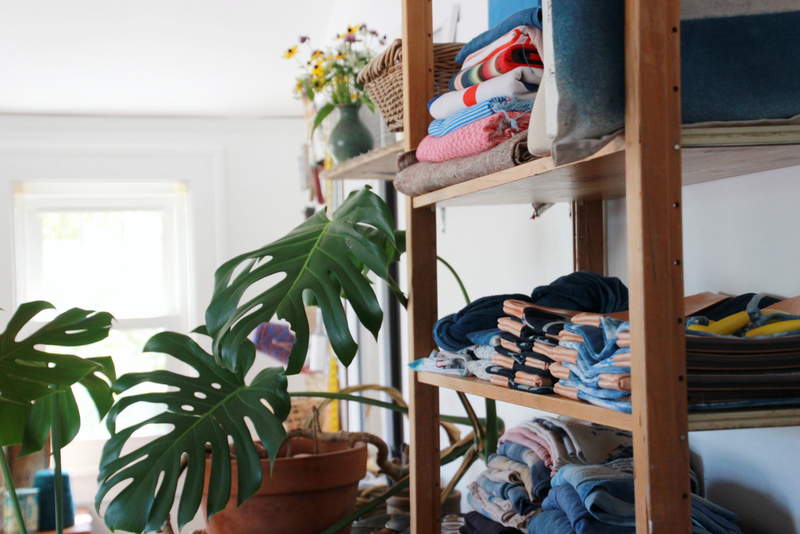 Over the summer, she made the switch from dyeing with prereduced indigo to solely organic indigo — she says it’s been thrilling to make the switch, even though starting an organic vat is a more involved and finicky process. Indigo is, frustratingly, not soluble in water, so for it to become a dye, it has to be put through a process of grinding, being made into a paste, combined with an alkali solution, reduced (deprived of oxygen) and being kept “alive” at a regular temperature in a process of fermentation. (Now you see why it’s absolutely nuts that so many cultures came up with this independently of each other?) Currently, Sardelis is using indigo from India and Africa that has been partially processed (so it’s no longer in leaf form), but she says growing the plants herself is on the docket for 2016. For Minneapolitans, Indigo & Snow will be at the Mill City Farmers Market Indoor Winter Market this year, and will also be exhibiting at the American Craft Council’s Holiday Craft Hop on Saturday Dec. 5.